1Excludes L model. Not available with special financing, lease and some other offers. See participating dealer for details. 2Not available or combinable with all offers, must provide at time of sale, see dealer for details. Must finance with GMF or affiliates, not available with special finance. 3DON'T PAY TOO MUCH! Not available or combinable with all offers, must provide at time of sale, see dealer for details. Must finance with GMF or affiliates, not available with special finance. 4THIS IS A CHEVROLET CONQUEST INCENTIVE FOR CURRENT OWNERS/LESSEES OF A 1999 OR NEWER NON GM (I.E., NON-BUICK, CADILLAC, CHEVROLET, GMC, HUMMER, OLDSMOBILE, PONTIAC OR SATURN) PASSENGER CAR OR TRUCK WHO PURCHASE ONE OF THE ELIGIBLE NEW AND UNUSED MODELS LISTED IN GUIDELINE 5GENERAL MOTORS IS ANNOUNCING A DOWN PAYMENT ASSISTANCE PROGRAM THAT IS GOOD TOWARDS THE PURCHASE OF ONE OF THE ELIGIBLE NEW AND UNUSED MODELS LISTED. THIS ALLOWANCE MUST BE USED AS DOWN PAYMENT ON A SUPPORTED OR UNSUPPORTED FINANCE CONTRACT THROUGH GM FINANCIAL. SUPPORTED AND UNSUPPORTED LEASES ARE NOT ELIGIBLE FOR THIS PROGRAM. 6Excludes L model. Not available with special financing, lease and some other offers. See participating dealer for details. 7ONLY CUSTOMERS WITH A CERTIFICATE QUALIFY FOR THE INCENTIVE. NO ADDITIONAL CUSTOMERS WILL BE ADDED TO ELIGIBILITY LIST. 8Must qualify through GM Financial. Not available with special finance, lease, or some other offers. Take delivery by 04-30-2019. See dealer for details. 9Excludes L models. Monthly payment is $13.89 for every $1,000 you finance. Example down payment: 5.2%. Must finance with GM Financial. Some customers may not qualify. Not available with lease and some other offers. Take new retail delivery by 4/30/2019. See dealer for details. 1Not available or combinable with all offers, must provide at time of sale, see dealer for details. Must finance with GMF or affiliates, not available with special finance. 2DON'T PAY TOO MUCH! Not available or combinable with all offers, must provide at time of sale, see dealer for details. Must finance with GMF or affiliates, not available with special finance. 3THIS IS A CHEVROLET CONQUEST INCENTIVE FOR CURRENT OWNERS/LESSEES OF A 1999 OR NEWER NON GM (I.E., NON-BUICK, CADILLAC, CHEVROLET, GMC, HUMMER, OLDSMOBILE, PONTIAC OR SATURN) PASSENGER CAR OR TRUCK WHO PURCHASE ONE OF THE ELIGIBLE NEW AND UNUSED MODELS LISTED IN GUIDELINE 4GENERAL MOTORS IS ANNOUNCING A DOWN PAYMENT ASSISTANCE PROGRAM THAT IS GOOD TOWARDS THE PURCHASE OF ONE OF THE ELIGIBLE NEW AND UNUSED MODELS LISTED. THIS ALLOWANCE MUST BE USED AS DOWN PAYMENT ON A SUPPORTED OR UNSUPPORTED FINANCE CONTRACT THROUGH GM FINANCIAL. SUPPORTED AND UNSUPPORTED LEASES ARE NOT ELIGIBLE FOR THIS PROGRAM. 5Not available with special finance or lease offers. Take delivery by 04-30-2019. 6ONLY CUSTOMERS WITH A CERTIFICATE QUALIFY FOR THE INCENTIVE. NO ADDITIONAL CUSTOMERS WILL BE ADDED TO ELIGIBILITY LIST. 7Must qualify through GM Financial. Not available with special finance, lease, or some other offers. Take delivery by 04-30-2019. See dealer for details. 8Excludes L models. Monthly payment is $13.89 for every $1,000 you finance. Example down payment: 5.2%. Must finance with GM Financial. Some customers may not qualify. Not available with lease and some other offers. Take new retail delivery by 4/30/2019. See dealer for details. 1ONLY CUSTOMERS WITH A CERTIFICATE QUALIFY FOR THE INCENTIVE. NO ADDITIONAL CUSTOMERS WILL BE ADDED TO ELIGIBILITY LIST. 2Must qualify through GM Financial. Not available with special finance, lease, or some other offers. Take delivery by 04-30-2019. See dealer for details. 3Excludes L models. Monthly payment is $13.89 for every $1,000 you finance. Example down payment: 5.2%. Must finance with GM Financial. Some customers may not qualify. Not available with lease and some other offers. Take new retail delivery by 4/30/2019. See dealer for details. 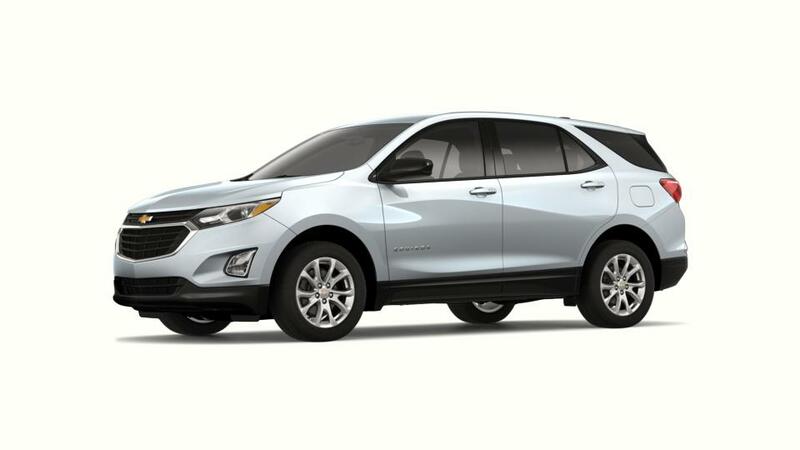 The Chevrolet Equinox, available in Houston, is the complete package of style, technology and safety. This fuel-efficient vehicle is sure to impress Houston drivers. The Chevrolet Equinox comes with ample of space, which lets you and your passengers enjoy the journey comfortably. Its stylish and bold exterior adds more charm to its look. This versatile vehicle offers multiple safety features, like standard airbags, built-in sensors, and many more. Schedule a test drive today! 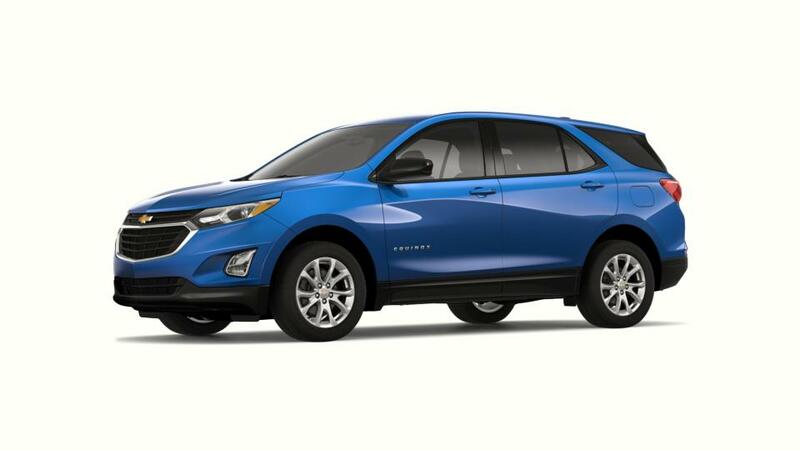 Visit Sterling McCall Chevrolet in Houston and learn more about the Chevrolet Equinox. Also, have a look at our inventory. We maintain huge lineup of new vehicles.